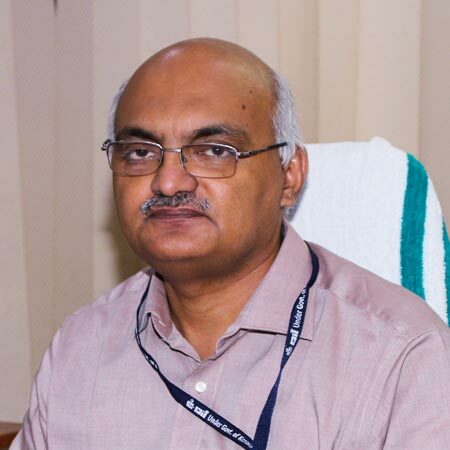 Centre for Development of Imaging Technology(C-DIT) is a unique institution under Government of Kerala with diverse skill sets and achievements in the areas of Imaging Technology & ICT and their applications. 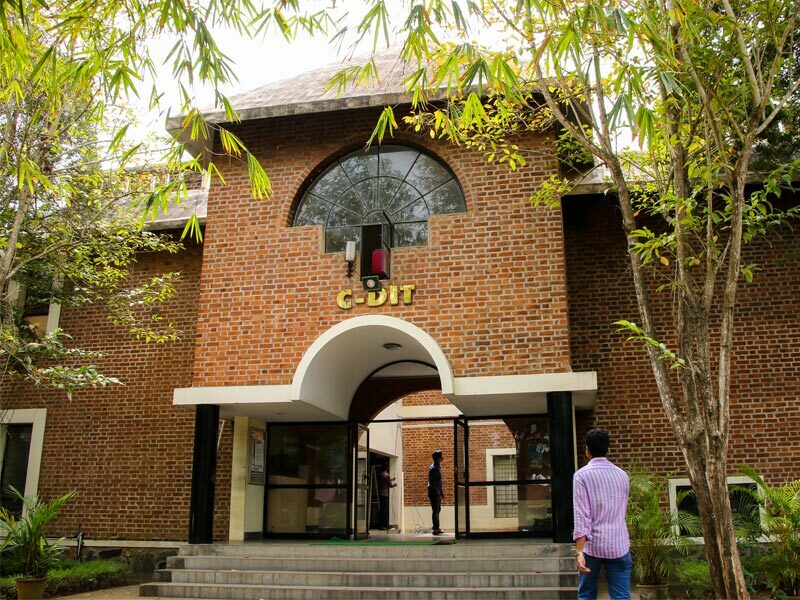 Founded in December 1988 as an offshoot of Kerala State Film Development Corporation, C-DIT started its operations with two projects funded by the Government of India- one in the field of research and development in film and electronics technology and another in the area of science and development communication using video. Subsequently, C-DIT diversified into Information Technology applications including software development and to providing IT enabled services. C-DIT has been functioning as a Total Solutions Provider in IT and Communication fields mainly in the Government sector for the last 30 years. We have also made our mark in the areas of education and training by offering a stream of courses in communication, new media production and I.T. During the last 30years of existence, C-DIT has achieved many national and international laurels. The video productions of C-DIT cover different genres of development communication, science popularization, education, environmental awareness etc. Several of them have won the state and national awards as well as top recognition at the international festivals. The innovative TV reality show series produced by C-DIT in collaboration with Doordarshan on the achievements of local self governments and on the success stories in school education have won wide acclaim. C-DIT has planned similar series on health care. The high security holograms produced by C-DIT are now being used in key sectors of Kerala including universities for issuance of certificates as well as Motor Vehicles Department for their registration certificates and in other important documents for authenticating and ensuring genuineness and security. The service of FRIENS has now become an unfailing help for payment of bills. The 300 plus C-DIT’s educational partners all over Kerala have already become and integral part of IT education in the State, since their courses got Kerala PSC recognition. C-DIT has 3 Regional Centres and they are functioning in Kayamkulam, Ernakulam and Kannur with thrust on localization of its activities for state wide projects. The Regional Centres have adopted the policy to focus on the pragmatic localization of ICT enabled services and establishing in-house skills for supporting any initiative by the Government to simplify and expedite the process of governance by infusing information and communication technologies. Local specific activities undertaken by the Regional Centres include: E-governance software development and implementation for local agencies, website designing and development for local agencies, annual maintenance services/facility management/locally relevant IT enabled services, implementing video conferencing facility and touch screen kiosks, interactive CDs, e-publishing, animation films, video documentation of local institutions, Training in ICT sectors with tie ups with major players, Finishing school programmes, R&D tie up with local agencies, IT testing and quality assurance, consultancy in ERP, local awareness campaigns on topics like e-waste, cyber security etc. 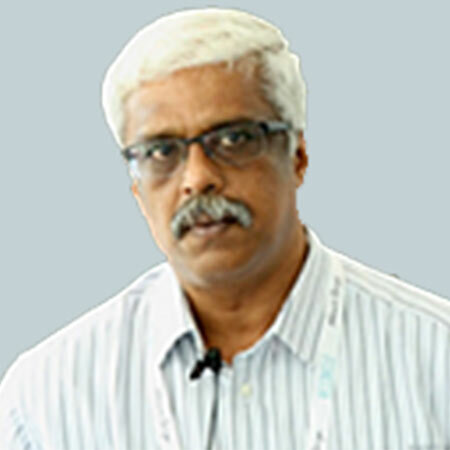 Centre for Development of Imaging Technology, C-DIT, a Government of Kerala organization under Electronics and Information Technology, with corporate culture is concerned with customizing technology for the masses. Having its genesis in 1988 from a perception to use imaging technology as a tool to achieve progress, C-DIT has lived up to that dream. When Information Technology began to kick start growth in all spheres of economy and life, C-DIT quickly adapted to it. In fact, it established a synergy between Information Technology and Imaging Technology to create new paradigms of information dissemination through apt image making. Now C-DIT has evolved into a resourceful and productive agency of the Government of Kerala under the chairmanship of Hon. Chief Minister. It has made its mark in the advancement of research, development and training in Imaging Technology and in socially relevant science and development communication. C-DIT has a talented pool of creative personnel co-existing with technological work force. It is an approved research centre of Department of Science and Industrial Research (DSIR) and Kerala University. The head office of C-DIT is currently housed in a 3-acre Campus in the picturesque Chithranjali Hills, 6 kms from Thiruvananthapuram Central, on the way to Kovalam. It also has City Offices in Thiruvananthapuram city. The 3 regional centres of C-DIT are functioning in Kayamkulam, Ernakulam and Kannur. It was at the application level of Optoelectronics and Information Technology that C-DIT rendered exemplary service to the people. The high security holograms produced by C-DIT are now being used in key sectors of Kerala for authenticating and ensuring genuineness and security. The three hundred plus C-DIT’s educational partners all over Kerala have already become an integral part of IT education in the State, offering courses with Kerala PSC recognition. C-DIT’s ventures in live web streaming, Ration Card Renewal Project, Digitisation projects, Facility Management Service, Multimedia Learning Objects for ICT enabled education, software development, Malayalam language computing, digital archiving, ICT technical consultancy for e-governance and the self reliance achieved in hologram production are indeed laudable. In these days of severe energy crunch C-DIT has once again braced up to face the challenge by launching projects focusing green energy technologies, especially renewable solar energy resources etc.. The Government of Kerala has been supporting C-DIT in many technology applications, especially the ones that facilitated smooth and effective interaction between the Government and the public. In the interface between the Government and the people, out-reach of administration, achieving transparency and security in realization of projects, C-DIT made its positive presence felt in the last twenty eight years. As the key agency, providing required and timely support in the domain of ICT and allied programmes to the Government of Kerala, C-DIT is setting up benchmarks of its own. Over the past 30 years of its existence, C-DIT has taken up many prestigious projects of the Government of Kerala and completed them successfully.